One of the most successful crosses in the international thoroughbred breeding world is that of mixing the Danehill and Sadler's Wells sire lines and this colt replicates that blend as a son of outstanding stallion Fastnet Rock and his dam by Sadler's Wells' champion sire son Galileo. Furthermore, the second dam is also by Danehill so it duplicates that great stallions potency. 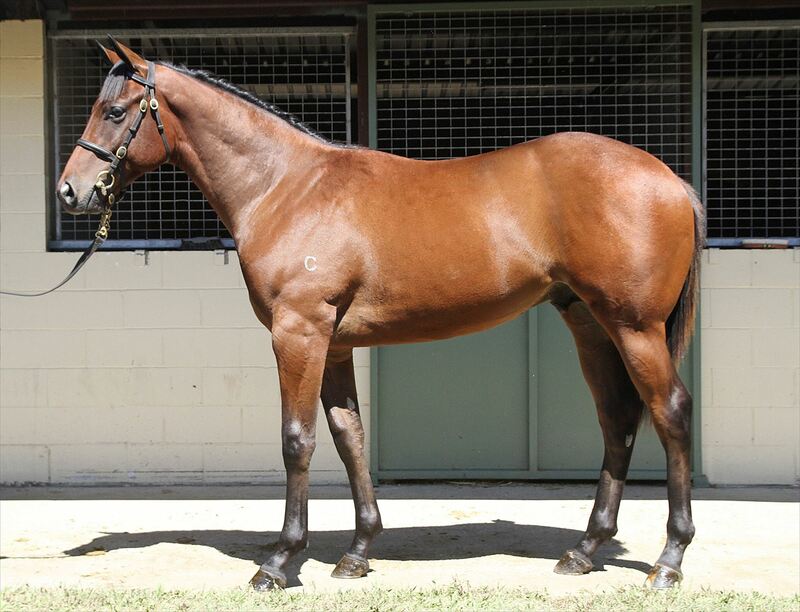 We thought this colt was the most athletic colt by Fastnet Rock at the 2015 Magic Millions sale and, as his dam, Group 2 winning second dam and third dam were all 2yo winners, there's every chance this colt might come to fruition soon enough to be a Magic Millions prospect early next year. Milwaukee ran 8th in the Yulonginvest.com.au Bel Esprit Stakes at Caulfield on Saturday, 13 April 2019.